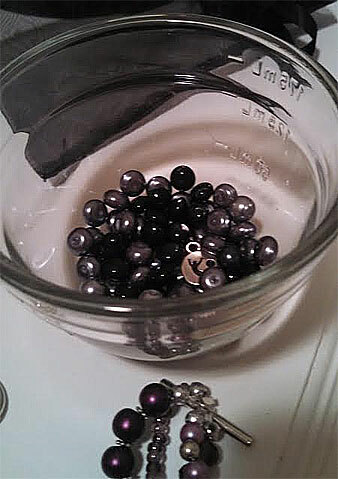 :: Big ups to my terrific boyfriend for giving me this catchy idea on this blog. I love you, Peter. 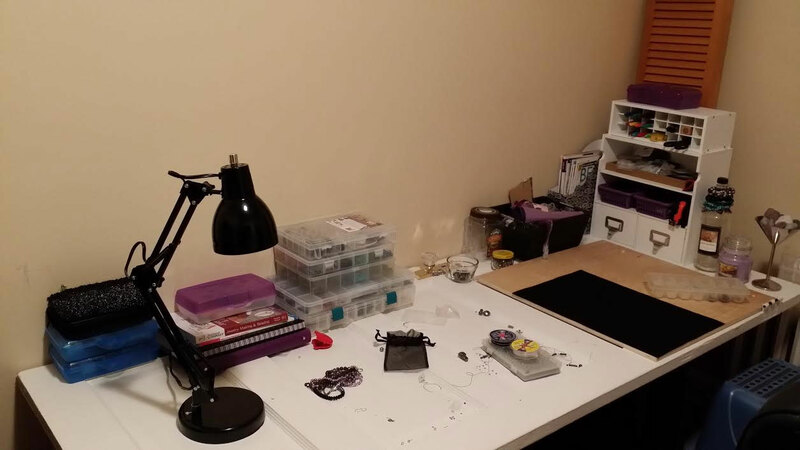 A lot of people don’t have a “space” to do crafting work. So considering going mobile. Pick up a milk crate of some sort (you can get colored ones pretty cheaply), and use some of my clever ideas to store all your supplies. You can move it to the kitchen, the dining room, or even in the living room with a tray table. If you need more space, get another milk crate. If it starts to get heavy, consider purchasing a compact folding cart to move your gear around. Now that you are mobile, you can even take your stuff out of your home. You can go to a friend’s, your grandmother’s, or even a non-crowded spot like a coffee shop or the library. 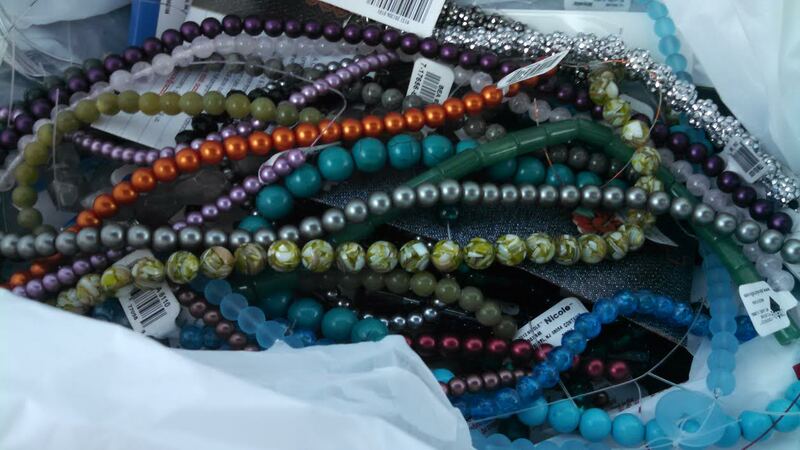 This is where Beads on the Go comes in. There are a lot of options for “traveling” kits that you can pick up. Not only are these kits compact, but they are also very handy and resourceful. For example, this travel tool kit has really sturdy tools, and I only paid about 12 bucks for it. It’s very lightweight and could fit in a nice coach bag comfortable with your other things: wallet, coupon clutch, makeup bag, 9mm, phone, water bottle, etc. I also have this mini measuring kit that has a little basin in the middle. 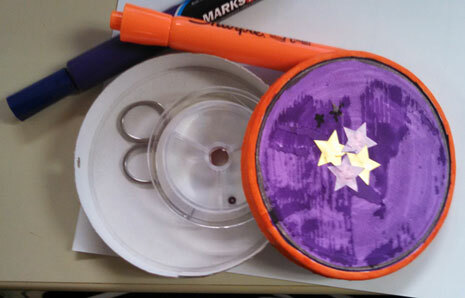 This kit completely closes up, so you can throw some beads in there to work with, along with a small pair of scissors, some thread and a needle. I use this kit when I want to hang out in the living room with my boyfriend while I am crafting my jewelry. It’s nice and small, and you can take it anywhere (like the office). 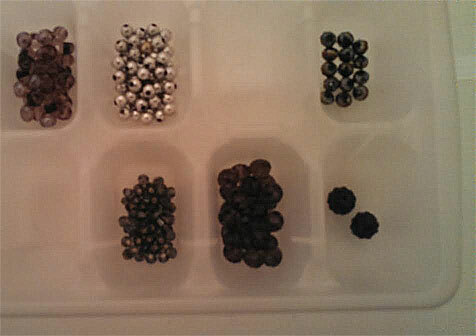 This is perfect because you can store a small amount of beads and minimal supplies. You can use the round shape of the container as a measuring tool. 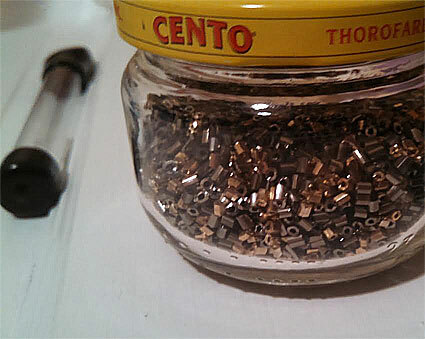 Of course, when you open this container up, you can divide up your beads and work very easily. And don’t forget to never underestimate the power of the paper plate.